What do you think about when you hear the name Red Nose Pitbull? Ruthless killer or friendly family dog? You may be surprised to know that Red Nose Pitbulls are actually really good with children as long as they are socialized well as puppies. What else would you be surprised to learn about the Red Nose Pit Bull? Let’s take a look at this amazing breed. What is a Red Nose Pit Bull, anyway? While the term “Pit Bull” may refer specifically to the American Pit Bull Terrier, the name also refers loosely to dogs that look similar such as the Staffordshire Terrier and the American Staffordshire Terrier. So a Red Nose Pit Bull could be any of those breeds and has the red nose that’s typical of bully breeds rather than the less-common blue nose that’s the result of a recessive gene. On the topic of Blue Nose Pit Bulls, even though they are less common than Red Nose Pit Bulls, they are not so rare that breeders should be charging more for them. So be wary of any breeder who sells Blue Nose Pit Bull puppies for a much higher price than their Red Nose Pit Bull puppies. In medieval Europe, bull- and bear-baiting were common sports. One or more “bully breed” dogs like the Pit Bull would be pitted against a bull or a bear and people would bet on who would win the fight. These baiting games were outlawed in the 1800s, and Pit Bulls were them used for either dog fighting or farm work. Around this time, Pit Bulls were brought to America, where they were further developed as farm dogs who could do a number of different jobs from killing rats to providing companionship to guarding livestock and property against predators. Unlike many farm dogs, Pit Bulls weren’t suited to being outside in all types of weather and needed to have a calm temperament to stay inside with the family and children. Even dogs that were bred from fighting lines rather than farming lines needed to be gentle with humans so they wouldn’t attack their handler after a fight, so Pit Bulls were bred to be exceptionally gentle with humans, even after fighting another animal. That’s why well-bred and well-socialized Pit Bulls are so good with children. The size of a Red Nose Pitbull will vary depending on the dog’s gender and breeding. They may vary from a 30-pound female to a male that clocks in at 90 pounds or more. That’s one reason it’s crucial for the breeder to show you one or both of the parents, so you can get a sense of how large your Red Nose Pit Bull puppy may grow to. Although Red Nose Pit Bulls may be aggressive toward other dogs and smaller animals, they are generally gentle with children and adults. A puppy that gets plenty of socialization can learn to live with other dogs or small animals without a problem, but it may be more difficult to get an adult Red Nose Pit Bull to make that same adjustment, especially if it may have come from the world of dogfighting. If you adopt or rescue a Red Nose Pit Bull, find out if the rescue group or shelter did personality testing. If the dog will attack a rubber hand that tries to take its food away, that dog may not be the best in a home with small children, and it’s better to know that before you bring the dog home. Some of these problems may be more likely to pop up in Blue Nose Pit Bulls who were bred with a focus on their coloring rather than their overall health. So even if you’re looking for a Red Nose Pit, be wary of breeders who aggressively promote their Blue Nose Pitbulls since they may be more concerned with money than with the dog’s personality. Red Nose Pitbulls don’t have any special care considerations. However, it’s important to be aware of two things when you own a Pit Bull: breed-specific legislation (BSL) and breed restrictions. 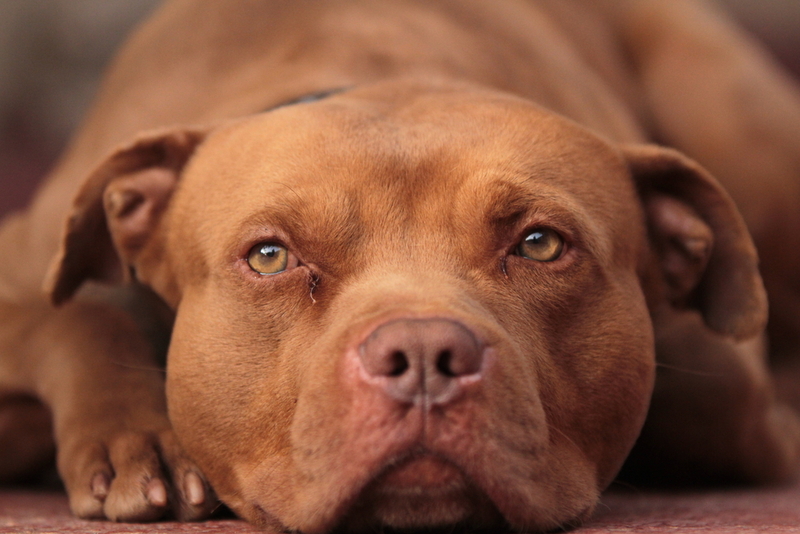 BSL results in cities and other localities banning specific dog breeds, such as Pit Bulls. 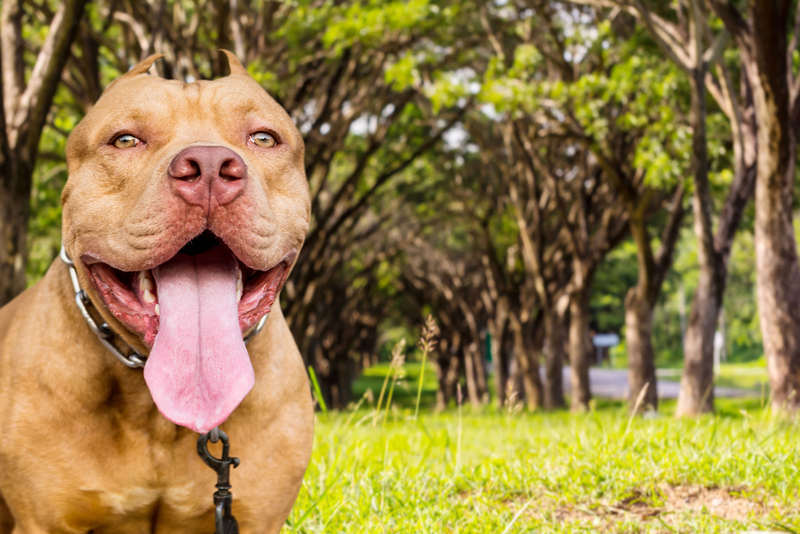 You need to know whether the city you live in or a place you plan to visit has BSL laws that may affect whether or not your Red Nose Pit Bull can be with you. Breed restrictions apply to properties such as hotels and apartment buildings. The managers of these types of buildings have the right to deny any dogs (other than service dogs). Keep this in mind when you travel, move, or bring home a Red Nose Pit Bull. Red Nose Pit Bulls are a breed that tends to suffer from allergies. Their allergies are usually more environmental than food-related, but you should know that your dog could be sensitive to certain food ingredients, such as rice, corn, beef, or wheat. Red Nose Pit Bulls are more muscular than some dogs, so they generally benefit from a high protein food. Check out our article on the 5 Best Dog Foods for Pit Bulls for specific dog food recommendations for your own to ensure they’re getting the best nutrition possible to help keep them healthy. If your Red Nose Pit doesn’t get enough exercise, their strong jaws and stubborn streak can cause them to become destructive if they don’t get enough exercise. To prevent this, your Red Pitbull should get at least an hour of exercise each day. 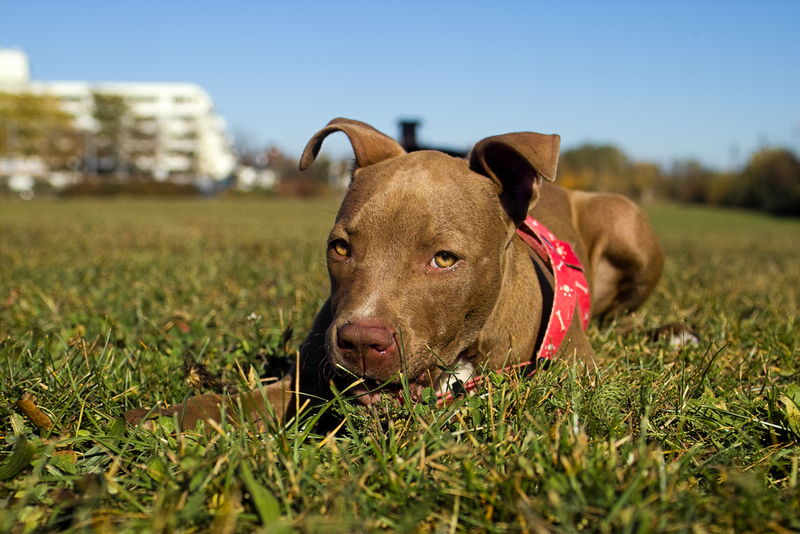 While a leashed walk or jog is best, strong leash training is critical because Red Nose Pit Bulls are extremely strong and may be inclined to pick fights with other dogs or chase small animals you may encounter along the way. It’s crucial that you’re the one walking your Red Nose Pit Bull rather than the other way around! For those that aren’t great on a leash, an intense game of tug, a good run around the backyard, and many games of fetch if your dog is inclined are great ways to help burn off your Pit Bull’s energy if they aren’t good on a leash. 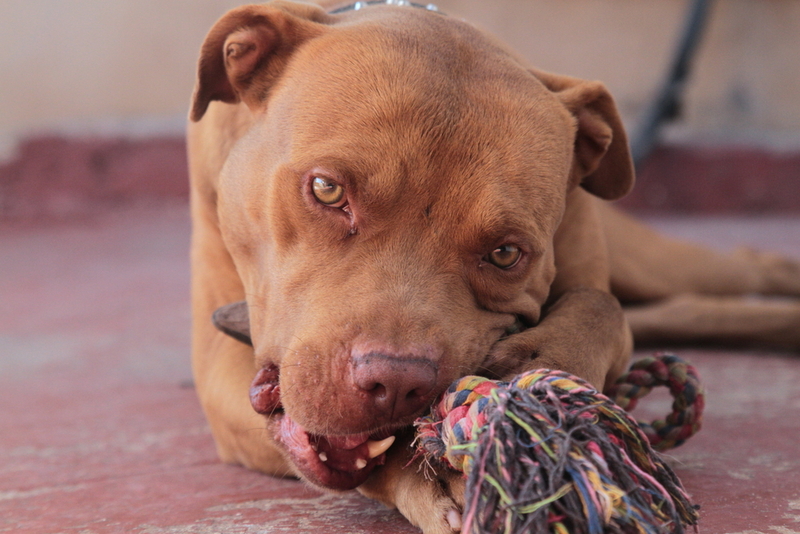 Red Pitbulls are very intelligent, but they’re also quite stubborn, so training can be a little difficult. You should start working on training with your Red Nose Pit as soon as they come home with you. Use high-value treats to reward your dog for behaviors that you want to encourage. Unfortunately, many people are afraid of Pit Bulls, so it’s even more critical to help your dog be an ambassador for the breed by making sure they are well-socialized and well-trained. As you can imagine, people are less intimidated by a Pit Bull walking loose on a leash and calmly obeying commands rather than straining against their leash. Well-behaved Pit Bulls can help people understand the wonderful personality of the breed and decrease the fear and stigma of the breed. Red Nose Pit Bulls have very short hair that will shed all year. Using a rubber curry-style brush (like the Zoom Groom) or a grooming glove (like this one) once or twice a week will keep shedding to a minimum. You may use a Furminator once or twice a month for additional shedding relief, but be gentle with it, because you can irritate the skin of your Red Nose Pit Bull or even cause bald spots if you aren’t careful. Since Pit Bulls are prone to skin problems, you should bathe your Red Nose Pit Bull at least 3-4 times a year with a gentle shampoo that’s formulated specifically for dogs. You can wash your dog as often as once a month, though you should try not to wash your Red Nose Pit Bull more frequently than that because it can dry out their skin. Sadly, a lot of people aren’t ready for the responsibility of owning a Pit Bull, and as a result, many Red Nose Pit Bulls end up in shelters and rescue groups. Pit Bulls are one of the most common breeds found in shelters and are also one of the breeds most likely to be euthanized in a shelter as a result. Therefore, we would encourage you to consider adopting your Red Nose Pit Bull rather than purchasing a puppy from a breeder. If you decide to look for a Red Nose Pit Bull puppy through a breeder, be sure you can visit the puppies and see at least one of the parents on site. Ask the breeder for health testing certificates on the parents and how they manage their breeding program. Unfortunately, there are a lot of unscrupulous breeders out there looking to make a quick buck from the popularity of Pit Bulls who aren’t interested in improving the breed at all. Since Pit Bulls are so misunderstood, people tend to have lots of questions about the breed. Here are some answers to the most frequently asked questions about Red Nose Pit Bulls. What makes Red Nose Pit Bulls different from other Pit Bulls? Pit Bulls come in two color varieties: Red Nose and Blue Nose. The Red Nose variety is more common than the Blue Nose variety, but you can have both varieties in one litter. There aren’t any personality differences between Red Nose Pit Bulls and Blue Nose Pit Bulls. Are Red Nose Pitbulls good guard dogs? Since Pit Bulls were bred to be friendly toward people, they generally don’t make good guard dogs. They may bark to alert you to the presence of a stranger, but they are unlikely to become aggressive toward an intruder. Are Red Nose Pitbulls good with children? In General, Red Nose Pit Bulls love children! They have the patience to let even small children climb on them, poke them, or be a little rougher all in all than many other dog breeds will tolerate. Having said that, every dog has upper limits to their patience, and small children should never be left alone with any dog, but especially a Pit Bull. 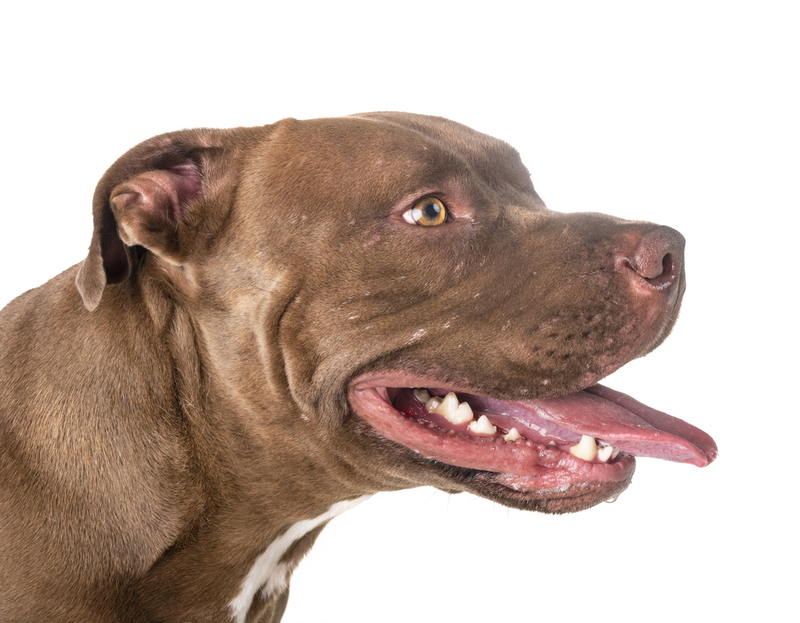 While Pit Bulls have a much lower incidence of biting humans than other breeds, they have one of the strongest bites of any dog breed and can cause significant damage when they do decide to bite. Wrapping Up: Is the Red Nose Pitbull Right for Your Family? The Red Nose Pit Bull can make a great part of most families as long as they have the best socialization and training you can provide them. They are usually friendly with people, even children, and they can make loving, gentle companions. You shouldn’t avoid bringing a Red Nose Pit Bull into your family just because of their outdated reputation. On the other hand, Red Nose Pits can be stubborn, may have a difficult time getting along with other animals, and you must fight the constant public perception that Pit Bulls are out to maim or kill anything or anyone they come across. 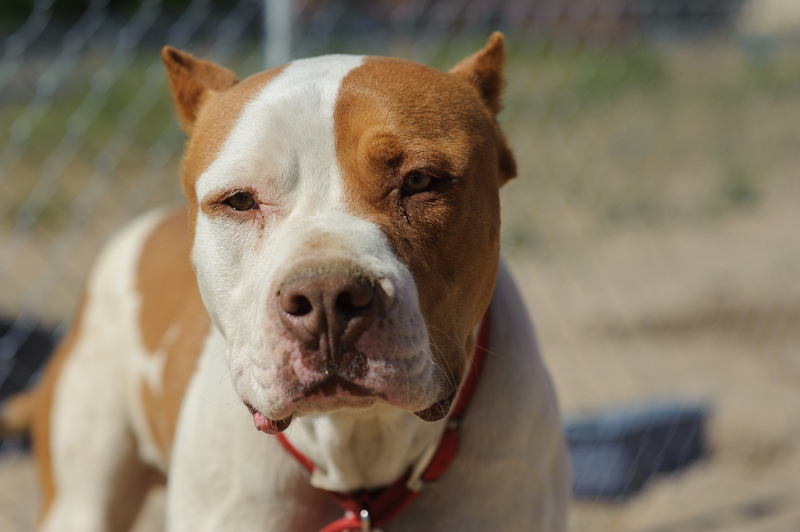 These qualities mean that the Red Nose Pit Bull isn’t a good fit for everybody. If you aren’t very confident with your training abilities or if you don’t care to explain your decision of a family pet to everybody you meet, the Red Nose Pit Bull might not be the best fit for you or your family. It’s OK to admit these things, and it’s better to consider these negative points before adding a Pitbull to your family rather than realizing the dog isn’t a good fit after bringing it home.